Ready to move forward with Link2Feed but need some help paying your upfront fees? Our 2017 Scholarship Program will reduce or completely eliminate upfront fees for up to eight eligible food banks. This is coupled with detailed implementation support from Link2Feed’s team of experienced implementation specialists. Last year the program supported seven food banks with over $130,000 in funding! The scholarship program has been made possible by an extremely generous donor who has witnessed the impact Link2Feed has had on over 2,700 organizations across North America and wants to see that impact continue to grow. To confirm your interest, email connect@link2feed.com with the subject line “Scholarship Application- [Your Food Bank Name]” by 5pm on Friday, May 26th indicating how you meet the above criteria. If you qualify, you will receive a detailed application questionnaire that must be returned by Friday, June 16th at 12pm ET. 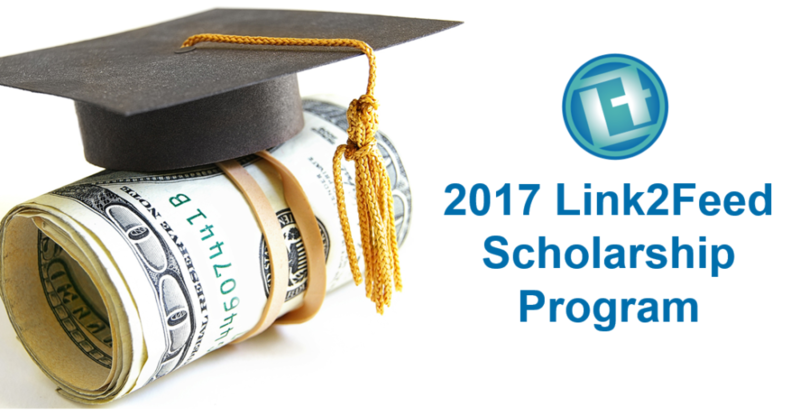 Scholarship recipients will be announced by July 24th and must start the onboarding process no later than September 1st, 2017.